For the past few months I've been going without business cards or care cards or thank you notes (basically anything printed). I've been handwriting all of my product labels and care instructions on craft paper, and using random stationary for my thank you notes that I ship off with orders. While I hoped that the customers on the receiving end thought that the gesture was nice, I often worried that it came across as unprofessional... It wasn't really the polished and cohesive look that I wanted for Javelina Ranch. Well, I'm happy to say that my print woes are finally over! Thanks to The Brand Stand's main squeeze Ann Marie Flamenco and her super savvy (borderline magical) design skills, I'm all set! Working with AMF didn’t feel like working at all! She made the process fun and engaging. She took my scattered ideas and random tangents and came back to me with an incredible assortment of options; each concept refined perfectly to capture the essence of the brand I had dreamt of, but couldn’t find the words to describe. 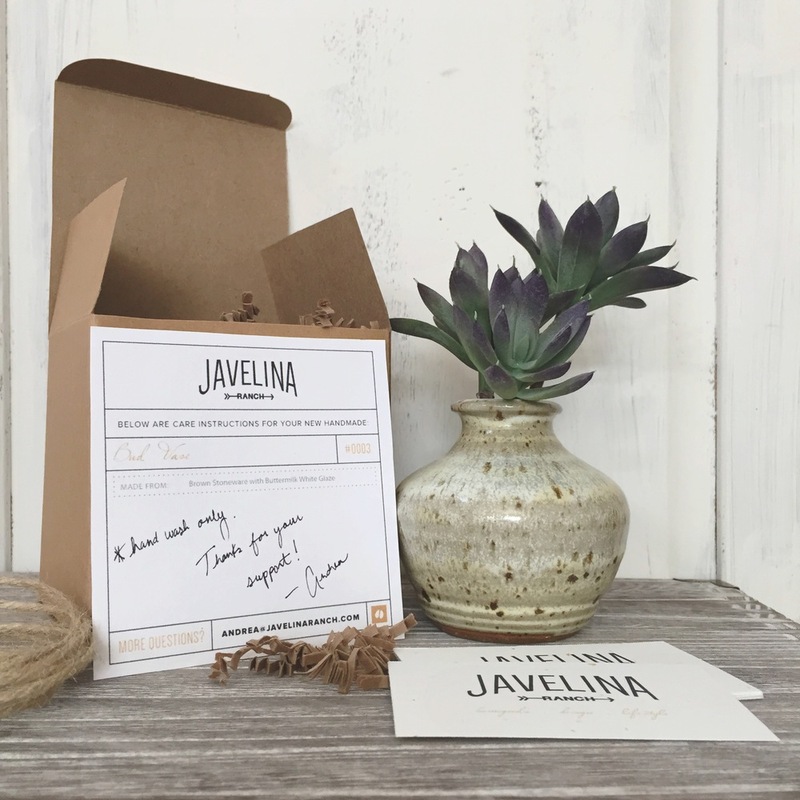 Thanks to her, Javelina Ranch has a brand identity that it can grow with. BONUS: She created a ton of design elements for me to use for future print/promo needs!!! DOUBLE BONUS: Pete gave me a fancy printer/scanner for Christmas, so I'm all setup to be a one-stop-print-shop! Can't stop! Won't stop! TRIPLE BONUS: The super fancy printer is wireless, so I've been able to print from my super fancy HQ (i.e., sofa). Needless to say, I'm stoked. This was a milestone I was hoping to reach to by the end of 2015, and it's not even the end of January! HUGE thanks to AMF and The Brand Stand for the design love, and to Pete for the printing powers!! !